Traveling with your family can always be a tricky affair especially when you have little kids. The best way to make your vacation be more of fun when you are with kids is by paying attention to the family travel tips discussed below.It will help you to find the right balance between rest time and activities. Most of the time when you don’t pay close attention to what matters then you can be sure that exhausted and tired children will give you stressful moments.You need to be smart and genuine to make these tips help you on your vacation. Do not be hasty but take your time and try to give priority to those tips that you feel should come first. Avoid having a hard time during your vacation by just following these tips that will guide you in your trips. It is the first family travel tip that should come into your account while preparing to go for a vacation with your beloved ones. Let each member of the family (spouse, kids or parents) give the names of the places they prefer to visit. For example, you might prefer going on a vacation to Europe in summer a fascinating thing, but for your children or spouse, it might not be their best option. Ensure that you are aware of the cultures, events or weather conditions of the place you intend to visit. It will give you a clue about what you are supposed to carry along with you or how you are expected to conduct yourselves while on vacation. It is one of the most significant families travel tips since you cannot visit without understanding how much you have and how you are going to spend. You need to have some extra amount because something unexpected might happen. Consider making your own best decisions to pack the essential luggage before going on a vacation. Try to avoid involving your kids in this. Your children’s perception of necessary baggage might be substantial soft toys or infinite outfit changes. You may realize that these items are unnecessary especially when you will spend most of your time involving yourself in activities that are related to the vacation. Ensure that you and your beloved ones have had all the required vaccinations before you head off on holiday, especially if you are traveling to exotic climes. You have to book a doctor’s appointment early enough so that you have time to get all vaccinations if necessary. Remember to pack your mosquito nets, repellents, and long clothes if you are going to a malaria-prone area. If you visit a foreign place where you do not share the same language with its hosts, then you will be compelled to use their dialect. You can make your vacation to be more interesting by practicing handy phrases and improving your accent before the visit. Consider using fun language apps like Mind Snacks and Duo Lingo. Traveling with your family is not something that you should put on hold maybe because your kids are so little to accompany you. You are only required to do the planning and also change your attitude, and you will be happy to travel with your children. 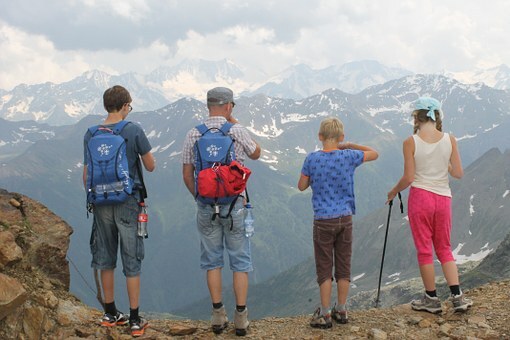 The above family travel tips will guide you and make your vacation more safe and incredible. Ensure that you start preparing early enough so that by the time you set out for your vacation, everything will be fine. You must make use of these tips with the intention of making your family happy! Daltone-Ominde is a versatile article writer.He has a passion for renewable energy and health niches.He loves writing articles for purposes of inspiring,entertaining and educating people around the globe.When he is not writing, Daltone-Ominde will be volunteering with organizations that deal with environmental conservation or out doing exercise to keep his body in check.